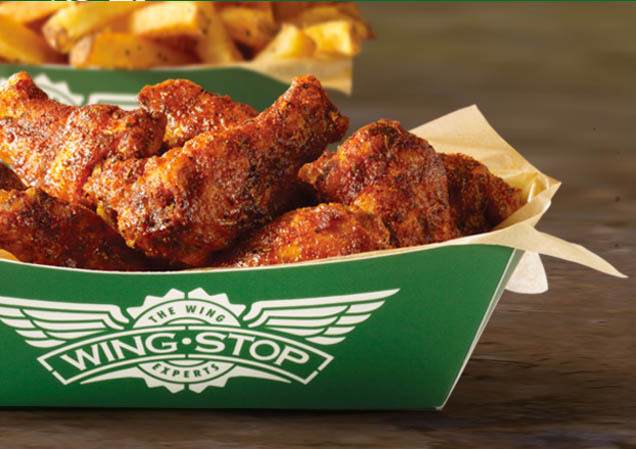 Wingstop, the rapidly expanding international “Wing Experts,” has opened in Meridian Place. Founded in 1994, Wingstop has more than 1,000 locations across the U.S. and abroad. “The Wing Experts” offer both classic and boneless wings with distinctive flavors ranging from Mild and Original Hot to Louisiana Rub and Atomic, plus sides like fries, beans, and cole slaw. Wingstop, Hawthorne’s and Rex Cleaners are part of 100,000 square feet of commercial space that will be built at Meridian Place. The development also includes a McDonald’s restaurant and M Station apartment homes. The 260-home community is more than 97% occupied after one year. Hawthorne’s also has opened to an enthusiastic reception.